Daniel Emery, 17, was passing another car, police said, when he lost control and went into a ditch. 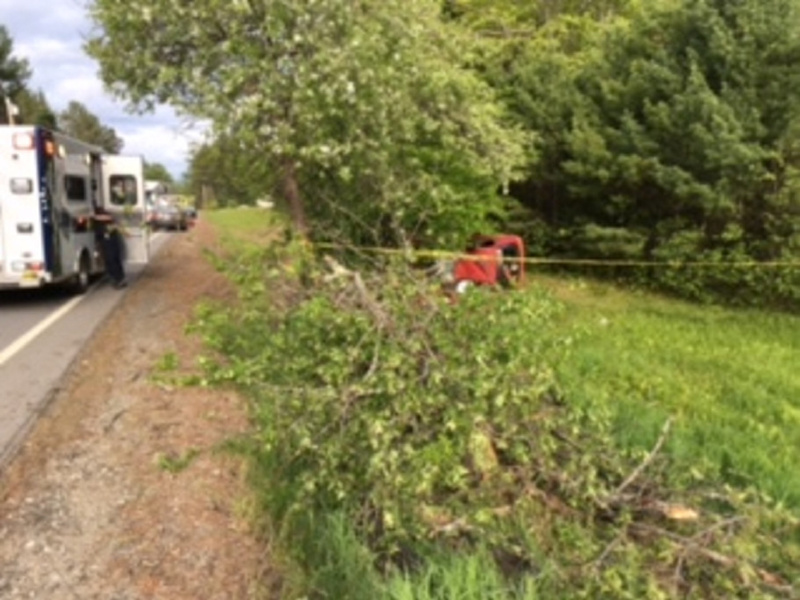 NEW PORTLAND — A 17-year-old died at the scene of a single-vehicle car crash Thursday evening after he was ejected partially from the car, according to the Somerset County Sheriff’s Office. Daniel Emery, 17, of Highland Plantation, was driving a red 1997 Honda Civic south on Route 16 when he went off the roadway and into a ditch, Sheriff Dale Lancaster said in a news release. Emery was passing another car at a corner south of Gilman Pond Road when he lost control, Lancaster said. In their investigation, police found that speed was a contributing factor to the crash. Lancaster said in an interview he thinks speed played a part in making Emery lose control of the vehicle as well as the severity of the crash. After Emery lost control, the Honda went into the ditch along the southbound lane and hit a tree, then continued on to strike a second tree, the release says. The car then rolled over onto the driver’s side. Emery, who was the only person in the car, was not wearing a seat belt at the time, Lancaster said, and was ejected partially before the car rolled over. He was pronounced dead at the scene. Damage to the car rendered it a total loss. The Somerset County Sheriff’s Office was assisted by the Franklin County Sheriff’s Office, Northstar EMS and the New Portland Fire Department.